Colder months usually make for quiet days at Poe House… but not this season! We have been pleased to welcome a steady stream of visitors this past month. Plus, now that construction across the street is drawing to a close and the new ‘Poe House Presents’ Author Series and other upcoming events are upon us, we anticipate an even busier Spring. Entries are still rolling in for The Saturday Visiter Awards, and our panel of esteemed judges are looking forward to some of the best Poe-inspired art from around the world. We are also excited to announce new dates that everyone should be sure to add to their calendars, including Pints for Poe and the 2nd Annual International Edgar Allan Poe Festival & Awards. 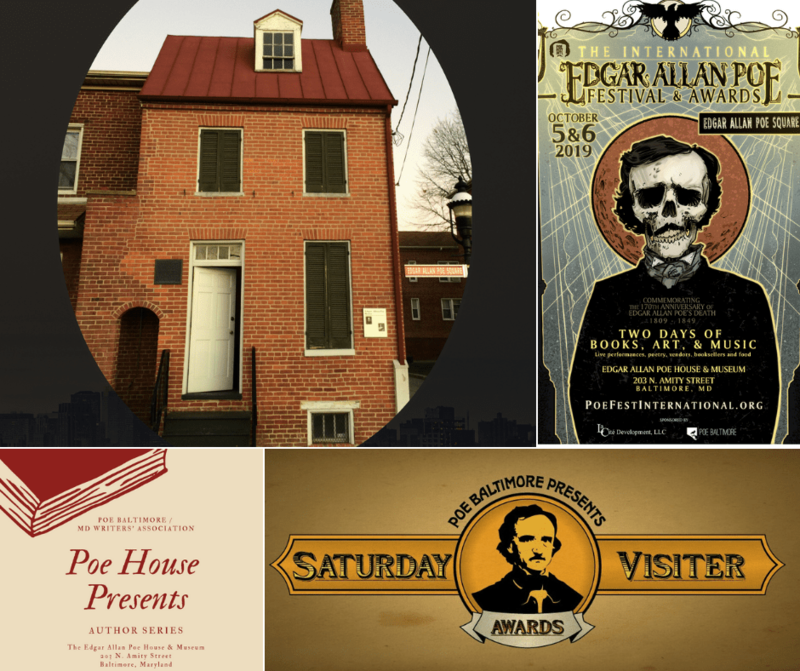 Consider joining (and supporting) Poe House as we continue to share–and celebrate–Poe’s legacy in Baltimore. Click to read Poe Baltimore’s March newsletter.